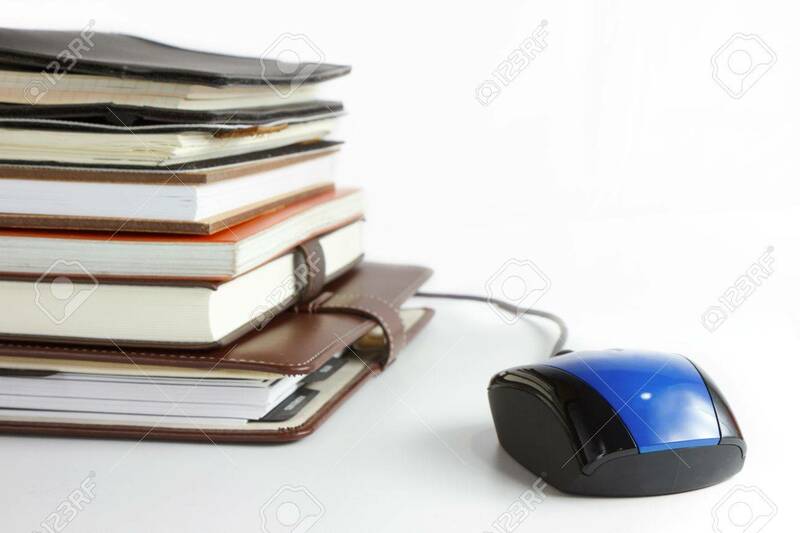 Stack Of Books And Mouse. Online Education And Business Concept Royalty Free Fotografie A Reklamní Fotografie. Image 16396100.